When I was in Grade 4 I still used my fingers while puzzling over a math question. When my Math teacher seen this she was not pleased and sent me to the special education room as I was deemed below grade level by the Math teacher for using my fingers in math class. That night I was afraid because the only way I could do math was with my fingers and now I was told to stop. 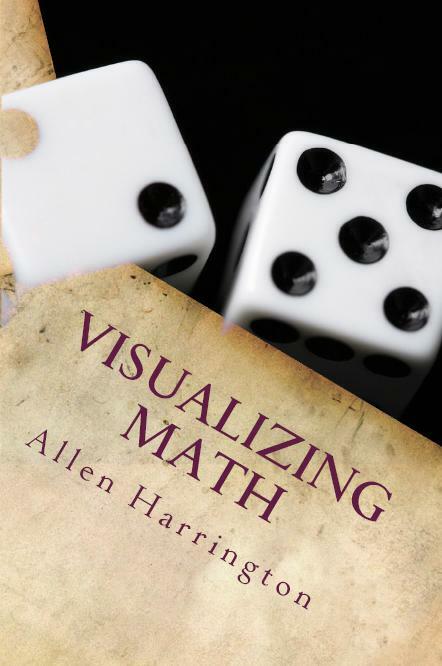 This book explains a method (Visualizing Math) I learned myself and ways how you can learn to visualize your math and ways to teach this method. Your probably thinking "why am I selling a math book on a Basketball website?" Well, I wrote this book while at Mohawk College, I am selling this book here on my website, mainly because of that reason. But there is also the need for math skills when attempting to gain a sports scholarship. After purchase of Visualizing Math you will be redirected to the view/download page. Also within a few hours you will also be emailed a download link for your records and future downloads. My son is ADD/ADHD and this book has worked wonders for him. I am wondering if you could make a spelling book that has the same ideas as this book because that could also work wonders for him too. Bought the Ebook version as the paperback is too expensive, and my son LOVED the technique that is explained in the book and he actually likes math now.